Basement Supercomputing Personal Cluster Workstations and HPC Systems Design and Support. Our Personal Cluster Workstations offer breakthrough price-to-performance coupled with the convenience of a turn-key Hadoop/Spark or HPC appliance. 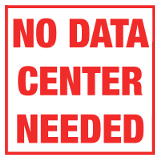 All systems are designed to run quiet and cool in a non Data Center environment. We also offer support and design services for HPC clusters, GPU workstations, and other Hadoop/HPC systems. In addition to designing cost effective systems that often save you time and money, we also have extensive experience with HPC optimization and tuning. Contact us for a customized system quote today Basement Supercomputing.